On June 6th, 2018, VIETNAM AUTOEXPO officially kicked off as scheduled in Vietnam National Convention Center. As an expo held in one of the most important countries on the OBOR route, it attracted a number of Chinese automakers and parts suppliers to attend. 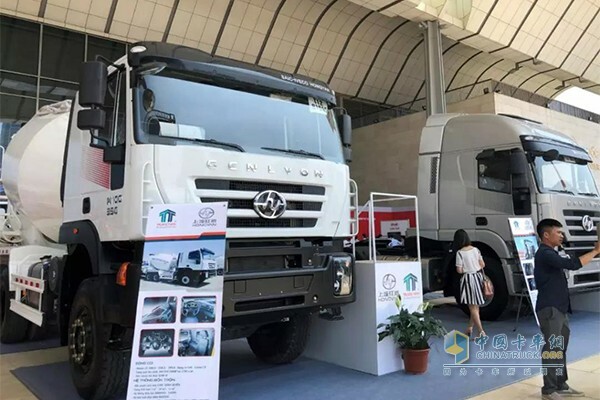 SAIC Hongyan, as a Leading heavy-duty truck maker from China, attended the show and brought its products including Genlyon mixing truck and Genlyon tractor to display, aiming at expanding its presence in Vietnam. With the launch of OBOR, Vietnam has been developing at a fast pace, in particular, the demand for construction truck increases rapidly. Meanwhile, Vietnam is also an agriculture country, its agricultural products including rice, coffee and tropical fruit need to be delivered to the global market, which gives a boost to tractor demand. These raising demands and favorable policy will undoubtedly bring potential opportunities for CV makers in China when they make access to global market.